Visitors came from as far afield as Scandinavia for a wonderful weekend of festive cheer on the north Norfolk coast. “After a year of planning, it was fantastic to see so many people enjoying the relaxed atmosphere of the market. I talked to hundreds of the visitors and everyone had found things to buy. Lots of people are going to be receiving lovely Christmas presents this year!” said Estelle Townshend, one of the organisers. Saturday was the busiest day, and the site was continually busy throughout the day. It helped that the sun came out and there was an almost tropical feel to the place in comparison to the below -5C temperatures Norfolk experienced the year before. 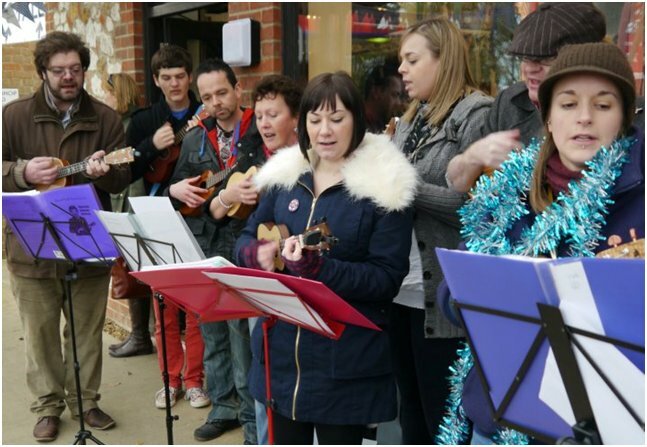 The Norwich Ukulele Society and the Hunstanton Concert Band entertained the crowds, while the St Mary’s Carollers and the Brancaster School Choir Club entertained with carols. Sunday was calmer, but still busy. Deepdale Café’s delicious paella sold even more on Sunday, the lovely smells wafting around Dalegate Market must have helped the sales! Fakenham Town Band entertained in the afternoon, with brass band festive tunes. 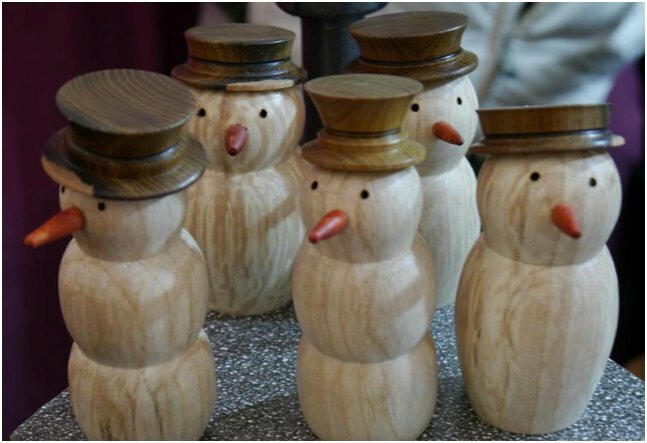 Plans for 2012’s Deepdale Christmas Market will begin to take shape in the new year, but make sure you have the 1st & 2nd December 2012 in your diaries for another festive visit to Burnham Deepdale! In the meantime watch www.deepdalechristmasmarket.co.uk to keep up to date with the plans for next years event.